Portugal has signed for Working Holiday programs in Korea! 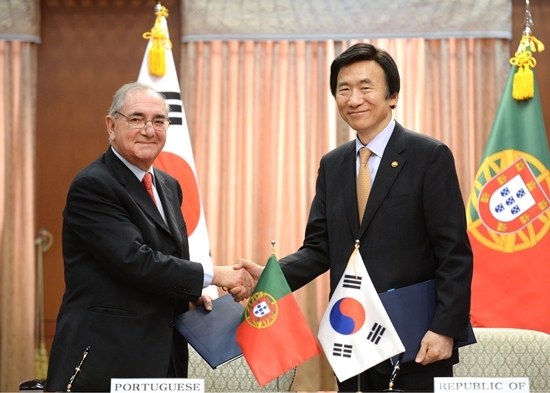 April 10, Foreign Minister Yun Byung-se and his Portuguese counterpart Rui Machete signed the Memorandum of Understanding (MOU)between the Republic of Korea and Portugal Concerning a Working Holiday Program. The Republic of Korea-Portugal MOU will be brought into force on April 10, 2014, allowing an annual 200 youngsters aged 18-30 of each country to stay in the other country for up to one year traveling and working. The Republic of Korea, in particular, is the first country Portugal has concluded such an MOU with. The bilateral MOU is expected to offer opportunities to future leaders of the two countries to better understand each other’s cultures and promote exchanges and cooperation between the two countries. Next postNew students in our Korean class!